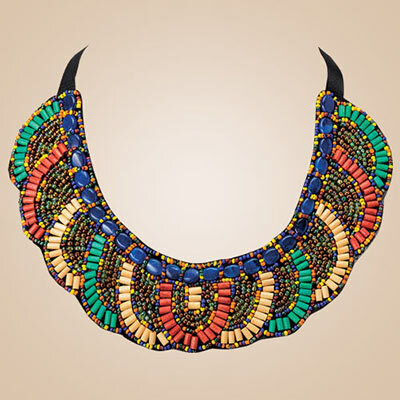 Artistically placed beads in an array of exotic colours creates this Aztec Beaded Necklace that's sure to be noticed. A black felt backing ensures comfortable wear and satin ribbon tie makes for easy adjustments. Imported. Untied length, 41"l.